My mom is so sweet! She came to visit me at my shop with her friend Ronnie. They hung out for a while and then went to a nursery and surprised me with these plants for outside of our business. The plants are so pretty and really spruce up the front of the shop. I put them out yesterday and have had so many compliments already! Thank you, mom! 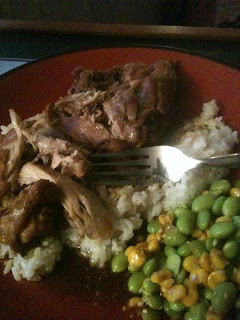 Ronnie gave me a recipe for chicken adobo. I had never made it before, but I made it this weekend for Luke. He said it was good, but I wouldn't know since I don't eat meat. I did eat the soybean corn sesame salad though! 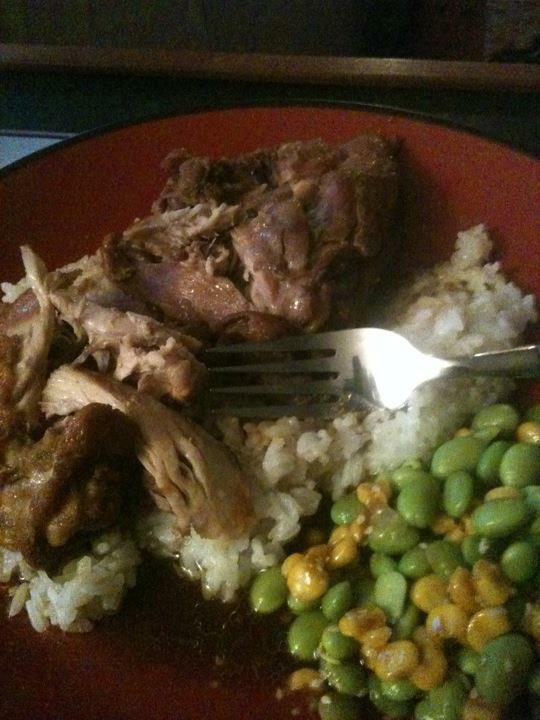 Luke said that it was one of his favorite meals that I have made him. Generously sprinkle garlic powder onto chicken. Brown in oil in pan that will eventually hold all the chicken. Do not cook through at this point. Do not crowd chicken. Place chicken aside. SLIGHTLY cook minced garlic and bay leaves. Replace all the chicken. Pour in vinegar, soy sauce and chicken broth. Bring to boil then turn heat down to simmer for about 30 - 40 minutes or so, until chicken is done. I started reading this book on Saturday. 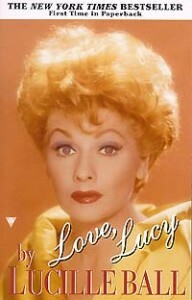 Who doesn't love Lucille Ball?